Passenger’s Identification Check No. 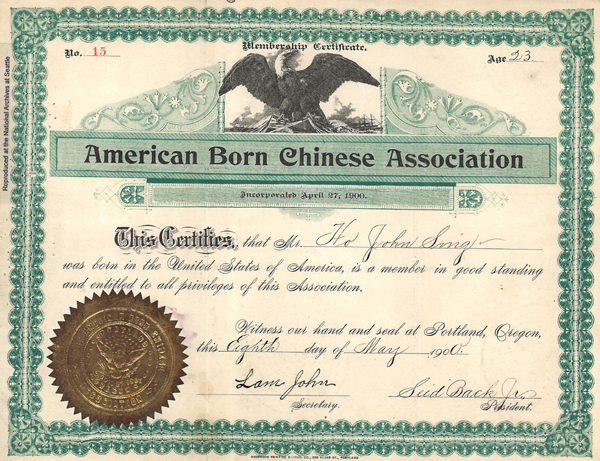 11383 for Jew Hoo, 1923, Chinese Exclusion Act case files, RG 85, National Archives-Seattle, Jew Hoo How file, Seattle, Box 887, Case 7032/464. Jew Hoo, a merchant, was returning from Hong Kong to Seattle on the S.S. President McKinley in a first-class cabin. 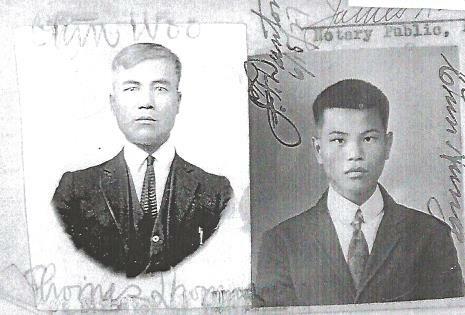 He was admitted into the U.S. on 20 October 1923. He paid an Alien Head Tax of $8 when he arrived in Seattle. He had been visited his wife Lee Shee and their two sons. When he returned from another trip to China in 1931 he stated that he was the assistant manager and treasurer of the Oriental Café in Kansas City, Missouri. According to the Chinese Exclusion Act a restaurant keeper was not usually classified as a merchant. B. A. Hunter, the Immigrant Inspector visited the restaurant and came up with these facts: it had a seating capacity of 136 or more, there was a stand for an orchestra and a platform for dancing, it had modern fixtures and was located in an excellent business neighborhood. Two white creditable men testified in Jew Hoo’s favor. The inspector gave a favorable recommendation for Jew Hoo’s status as a merchant. 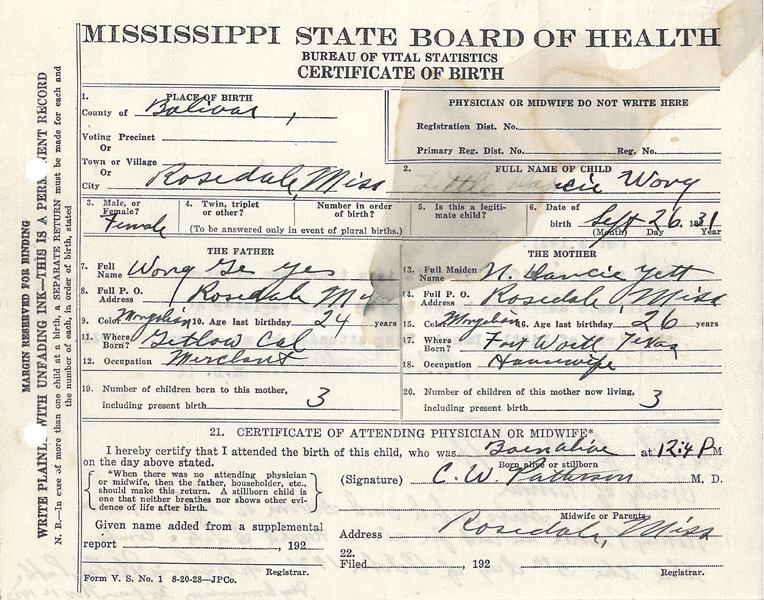 Jew Hoo’s 13 September 1918 draft registration card is included in the file.